THE RESIDENCE INN MIDNIGHT RUN. The Midnight Run is a walking, arts-filled, night-time cultural journey through urban spaces. It gathers strangers and local artists together to explore, play and create, whilst the city sleeps. The MNR aims to break down social barriers and provide a platform for established and emerging creatives, bringing moments of genuine interactive creativity. This special 12 hour run will begin at dusk at the new Residence Inn in West London, and we will journey through curiosity and creativity, exploring the surrounding areas and spaces. Please wear comfortable walking shoes and come dressed for the weather. No latecomers please, we will leave at 6pm on the dot. We will eat together at least once during the Run however please bring hearty snacks and water to keep you going. How to join The #RINNMNR? Sept 15, 6pm to Midnight starting at Reading Town Centre. This special event will close the Reading on Thames Festival. In its second year, the Reading on Thames Festival celebrates the town's heritage, hidden and waterside spaces. Beginning at a secret location, Kit Caless will take you on a journey, guiding you through the lesser-known nooks and crannies of the town before ending in a hidden location at midnight. Come ready to explore, play and create. As always, in typical Midnight Run fashion, expect the unexpected and come to have fun. As usual, wear comfortable walking shoes and come dressed for the weather. No latecomers please, we will leave at 6pm sharp. There will be a non-cumpolosory dinner costing £10 and ticket holders will be contacted about dining requirements after booking. How to join The #READMNR? Tickets: £10 / £5 Concessions (+ £10 for dinner). September 23rd and October 7th 6pm to 12am starting from The Black Cultural Archives. The Midnight Run is also a containment for conversation and much has been said about the changing face of Brixton, given its rich and complex history. Commemorating 30 Years of Black History Month, Join Kelly Foster (certified London tour guide and Brixton Historian) in exploring, excavating and discussing aspects of the area, from the Windrush Generation, to Michael Jordan's visit in 1985, to the riots. Along the route, Inua Ellams (Brixton resident and Founder of the Midnight Run) will lead imaginative creative exercises on capturing the exhilarating experience in verse. As always, in typical Midnight Run fashion, expect the unexpected and come to have fun. In Partnership with Ovalhouse and The Black Cultural Archives, and supported by The Arts Council England. Tinuke Craig trained as a director at LAMDA and regularly directs at RADA. Credits includes: I Call My Brothers at the Gate Theatre; Dirty Butterfly at the Young Vic. She assisted on wonder.land at the National Theatre, Hamlet at the RSC; and The Changeling at the Young Vic. Tinuke was the Gate Theatre's Associate Director from 2015-2016 and The Genesis Future Director Award winner in 2014. She is also an associate artist of HighTide and the National Youth Theatre. Driven by a passion for Art, rivalled only by her passion for Education, Gloria is an Art teacher and Assistant Principal at Dunraven School. She studied at Camberwell College and Middlesex University, achieving a BA Hons in Printed Textiles and Decorative Surfaces. Her wish is to inspire student to see beauty in the ordinary, to equip them with skills and characteristics needed to lead happy, successful, creative lives. Past exhibitions include: New Designers, Urban Art Exhibition and the Mall galleries. Publications: The Daily Telegraph, Designing, Pride Magazine. Rosie Powell is a Brighton based Photographer and Videographer who specialises in live event and performance documentation throughout the Performance, Music, Art world and beyond. How to join The #MNRBrixton? Exploring Battersea, and the newly opened riverside Circus West Village located between the iconic Power Station and the 200-acre Battersea Park. The Battersea Power Midnight Run will incorporate the themes of power, energy and discovery throughout this artistic adventure. Meet us on Friday 25 August at 6pm, ready to begin our adventure through Battersea, stopping along the way to learn, experience and explore this unique area of SW London. NOTE: the event is open to only 35 participants so reserve your tickets quickly! DRESS CODE: Comfortable shoes + sweater/jacket for the night! BRING WITH YOU: Money for food and drink and a healthy sense of Adventure! MEETING POINT Friday 25 August, 17.45, outside the The Village Hall, Battersea Power Station. PLEASE NOTE: use the following directions and map to get to our pedestrian entrance – it is on the opposite side of the Power Station. Please do not put Battersea Power Station into your google maps. When you get to Grosvenor Arch (pictured below) - that is the entrance to Circus West Village SW8 - then once you come underneath the railway arch turn right along and the Village Hall is to your right to collect your ticket. We start the run from the Arch. At 18.00 we will leave, so it’s important to be punctual! The event - organized by CCT-SeeCity with CUT - Circuito Urbano Temporary and part of the "Prato Summer 2017" sponsored by the City of Prato - consists of a walk, from dusk to dawn, guided by creativity; a cultural journey that brings people and local artists to explore, play and create while the city sleeps; a temporary community that migrates into the urban sphere from 18.00 to 6.00. Prato (after Florence, Milan, Rome) is the fourth Italian city to host for the first time The MNR! The route through the city provides most of the stops / activities (about every 15-20 minutes) in public places and outdoor but also inside some private spaces. The route will remain secret until the day of the event. 5 local artists (selected through an open call April 10 to 30) will be announced in mid-May. Registrants will receive an email with all the details necessary to participate (place of departure, etc ...) within 24 hours before the start of the MNR. This MNR is facilitated by Imogen Butler-Cole. Edoardo Nardin : juggler, acrobat, clown, acrobat; and when not on stage, draws experiencing between painting and illustration; Born in Pordenone; after attending college in Prato, he decided to continue to live there. Elena Franchi: actress and member of the theater company "The Mask of Thespis" who works in Prato for many years. HOBO: collective founded by Andrea Lascialfari + Andrea Simone Miceli Corti with the will to innovate the textile tradition in Prato. Jacq : painter, portraitist of #voltidiPrato . Maruska Tonioni + Rose Ann Parisian Luisa Ciardi: artists and scientists, united by their passion for the collective memory, the social fabric, the industrial heritage of the city of Prato. How to join The #MNRprato? The ticket includes aperitivo + dinner + breakfast. Participants will have to register by June 20, 2017. 18:00 on Saturday, June 24, 2017 at the CUT – Circuito Urbano Temporaneo at this address: Via Arcangeli, 26 - Prato. We recommend to be on time, in fact better get a few minutes in advance! Ex Chiesa di San Giovanni: Space of Fonderia Cultart. Laboratorio: the cultural space represented by Fabrizio Fedi. Quilombo : the cultural space "La Brigata Ballerini" founded by Chiara Luccianti, Andrea Dezi and Alessio Targioni. Riciclidea : Environmental Association represented by Elena Sanesi. Casotto Atipico : midnight dinner. Nuovo Mondo : breakfast at dawn. Il Giardino del Thè : in the morning. Prato The MNR is curated by Elena Wagner Mazzoni (CCT-SeeCity) & Stefania Rinaldi (CUT - Circuito Urbano Temporary). Prato The MNR is organized by CCT-SeeCity with CUT - Circuito Urbano Temporary and with the contribution DHG Dyeing House Gallery . The creative were selected through the " PRATO: CALL for Creative Locals 2017 " - call that was opened April 10 to 30 and received 19 proposals / nominations. Prato The MNR is an event part of the program " Prato Summer 2017 " supported and promoted by the Culture of the City of Prato. THE WISE WORDS MIDNIGHT RUN. To become a Midnight Runner is to return to simplicity, to entertain without entertainment, to trust in community and conversation, to rediscover our essential creative selves, to move through the city as a child moves through a maze – with adventure, curiosity and play. For Wise Words 2017 this Midnight Run, in partnership with The Marlowe Theatre, will explore Canterbury at night. Wise Words Aims to inspire wonder and encourage curiosity through offering innovative and often unexpected encounters with poetry and storytelling. Wise Words Festival takes place from 28th April to 7th May in the stunning Secret Garden, a unique and magical site just a stone’s throw from the hustle and bustle of Canterbury’s busy high street. The festival offers 10 days of thought provoking talks, walks, performances, workshops, music and poetry. Join in on Wise Words Festival's Midnight Run on Saturday 6th May at 7pm. Tickets can be bought online or at the Marlowe Box Office. Inua Ellams teams up with Western Australia’s own playful theatre innovators, The Last Great Hunt, to create an interactive tour of discovery. To become a Midnight Runner™ is to return to simplicity, to be entertained by real experiences of the city you never knew existed. Trust in your fellow travellers and the art of conversation to move through the city as a child moves through a maze – with natural play and wonderment. How to join The PIAF2017 Run? Please note: The ballot for tickets to The Midnight Run has now closed. If you have been successful in securing your ticket you will be notified by Friday 13 January. For any queries, please contact PIAF box office on 6488 5555 or boxoffice@perthfestival.com.au. To date, there has only been one ever midday run, in Bristol, circa 2015. However, due to overwhelming requests for a more family-friendly Midnight Runs, we are developing and creating Midday Runs. Similar structures and formats as Midnight Runs, but during the day! Commissioned by Up Projects and Floating Cinema, and led by the incredible Kit Caless, this event explores Hackney "from the wick to the wilderness" as a new financial hub. We will be discussing and exploring all things financial, all things money, in typical MNR interactive, artistic and inventive fashion. Bring comfortable shoes and expect to travel by foot between each artist-led activity. Purchase from here and see you there! Facilitated by Vicky Wright, this event celebrates the artistic and cultural heritage of a part of the country popularly associated with the airport... but it is a hot-bed of raw talent, creativity and vitality. Artists on the night are: Painter: Sophie Gresswell, Arts facilitator: Fiona Martin, Musician: John Leckey, Storyteller: Hannah Kelly and Dancers: Adeyinka Akinrinade & Charity Muiruri. Dress code: Comfortable shoes + sweater/jacket for the night! // Meeting Point: 5.45pm, outside The Hat Factory. At 6pm we will leave, so it’s important to be punctual! Bring With You: Money for food & drink (about £5 to pick up a snack along the way) // your favourite song on a phone or ipod, with a set of headphones // an old newspaper // an old empty bottle of water // an umbrella or waterproof if rain is a possibility // a healthy sense of adventure! To purchase tickets, and for more info, please see Revoluton Arts. To celebrate 10 years of growing success, this Midnight Run falls under our ‘Light2015’ European tour featuring events in Rome, Madrid, Berlin, Paris and London. We are part of UNESCO’s (the intellectual strand of the United Nations) global International Year of Light series of events, and are raising funds to support Liter of Light– a sustainable lighting project which aims to bring eco-friendly solar bottle-bulbs to communities living in darkness. 50% of funds raised from tickets sold will go to lighting a women’s centre in Pikine, a village in Senegal. Kévi Donat. Tour Guide at Le Paris Noir. Marie Bé. Journalist and Playwright. Lola Peploe. Actress & Filmmaker. Facilitated by Inua Ellams and Andy Craven-Griffiths. How to join The #MNRParis? Buy your tickets: €20.00 (early bird) and €30.00* on Eventbrite. NOTE: the event is open to only 35 participants so reserve your ticktes quickly! Your €20/€30 will cover Midnight Run exclusive: Books, Pens, Stickers, Pins and above all, a donation to Litre of Light for the women's refuge in Senegal. // WE ARE ON FACEBOOK: here! Maria Olivieri. Poet & Cabaret Performer. Aida Bresoli & Tom McLean. Photographer & Drawing coach. Bar Raval: Lübbener Str. 1, Kreuzberg. Avantgardenlife: a herb sensory experience by Tash. Barettino: Reuterstraße 59 in Neukölln. Facilitated by Founder of the Midnight Run, award winning artists: Inua Ellams. The Midnight Run began in London and under this strand of events, we are creating a Mega Midnight Run. For the first time where, there will be FOUR SIMULTANEOUS events starting in North, South, East and West London and working with four incredible arts organisations. The Albany Midnight Run supported by Apples & Snakes and Spread the Word. Tickets on sale now from each venue's box office. Tickets are not interchangeable between venues. www.ip-lit.co.uk or www.ip-art.com or contact us. Tickets £12 or £18 with a light bite. Booking: Ipswich Tourist Information Centre, St Stephen’s Lane. Mon-Sat 9am-4.30pm. Tel: 01473 258070 or email: tourist@ipswich.gov.uk. To celebrate 10 years of growing success, this Midnight Run falls under our ‘Light2015’ European tour featuring events in Rome, Madrid, Berlin, Paris and London. We are part of UNESCO’s (the intellectual strand of the United Nations) global International Year of Light series of events, and are raising funds to support Liter of Light– a sustainable lighting project which aims to bring eco-friendly solar bottle-bulbs to communities living in darkness. 50% of funds raised from tickets sold will go to lighting a women’s centre in Pikine, a village in Senegal. A year after the first edition in the Spanish capital city (see PHOTOS & VIDEO), The MNR returns to Madrid – this time hosted by “Estación21” festival thanks to Chulapa Flow Productions. HOW to JOIN The #MNRmadrid? Sign up on Facebook and buy your ticket (30€) * on Eventbrite. For further information, email to: themidnightrun@gmail.com. Or call: +39 366 9777735. NOTE: the event is open to 35 participants, hurry up! The ticket includes: MNR tour & ART performances + MNR items + Dinner + Drink + Breakfast + donation to “Liter of Light”. MNR DRESS CODE: comfortable shoes + sweater/jacket for the night! MEETING POINT: Saturday 20 June 2015, 17.45 @ KM 0 – Puerta del Sol, Madrid. At 17.45. We leave at 18:00, so be punctual! Adrián Bilbao & Oksana Anasko: founders of Free Eco-Tours Madrid. INRA: folk rock band from Madrid. Toto: lutist and founder of Glissando. Chulapa Flow Productions: cultural organization, creator of “Estación21″ festival. Free Eco-Tours Madrid: a way to know the city by meeting innovative and sustainable realities, especially in La Latina and Lavapiés. Glissando: The unique Spanish guitar building school. El Azul: From breakfast to dinner, a peaceful corner in Barrio de las Letras (Calle Fúcar 1). El Cielo: the best from the market become delicious take-away food (Calle Fúcar 4). Facilitated by Inua Ellams. Come with us! Detailed information on local artists, starting points, price, partners and features and tickets can be found here. This event will be Facilitated by the founder, Inua Ellams. Led by Andy Craven-Griffiths, the first Midnight Run in Leeds is created in collaboration with Slung Low and Leeds Dock. Tickets available here: http://www.leedsdock.com/events/leeds-midnight-run. 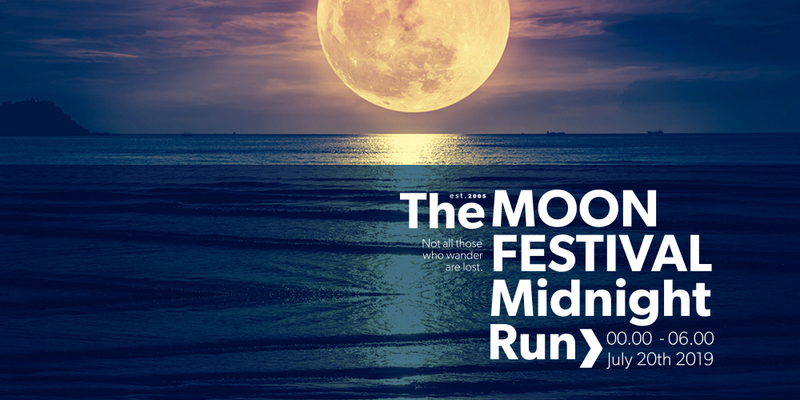 After Over 600 midnight runners, 130 artists, 7 cities and 4 countries, this year, THE MIDNIGHT RUN turns ten years old! The simple concept of walking, talking and exploring a city with 35 or so strangers, led by 5 artists, has quietly grown into a grassroots international movement, on the verge of going global. To celebrate our 10th birthday we’d like to invite past MNRunners and artists to meet, screen our favourite event highlights, share some special memories, give informal feedback on past events, share exciting plans we have coming up this summer and explain various ways of getting involved! The Aukland Midnight Run, held in collaboration with the Aukland Writers Festival. Commissioned by Southbank Centre, This Midnight Run celebrates the spirit of giving and the and the wintry time of year. Wrap up warm! Tickets here . Special thanks to Afia Yeboah. Commissioned by Bush Theatre as part of the Radar Festival. Tickets available here.